The Winton finishing mower WFM120 is perfect for cutting lawns, golf courses, sports fields, schools, camp sites and other large areas of land. An ideal tractor attachment for cutting football pitches and cricket outfields. 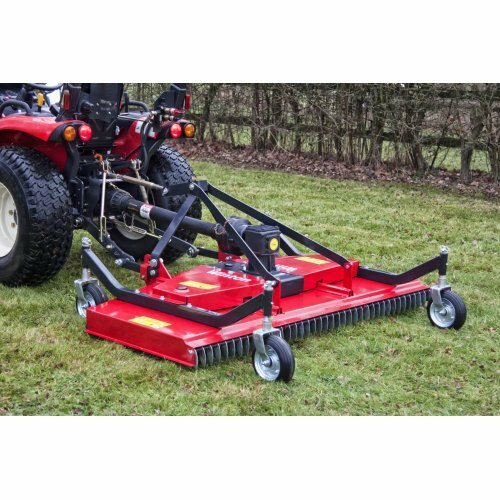 This style of mower is best suited to level areas of regularly maintained grass. The machine has 3 blades and uses a rotary cutting action like a traditional lawn mower, this then creates a close cut finish. The mower is belt driven, there are 2 drive belts which give power to the blades. This model has 4 height adjustable wheels to adjust the cutting height. It also helps to stabilise the mower and leave an even cut when mowing. 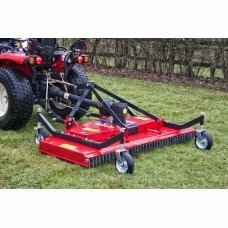 The mower also benefits from an extended linkage, this creates a bigger clearance and so less chance of the mower wheels fouling on the tractor wheels. The wheels also have an upgraded profile from the traditional castors.